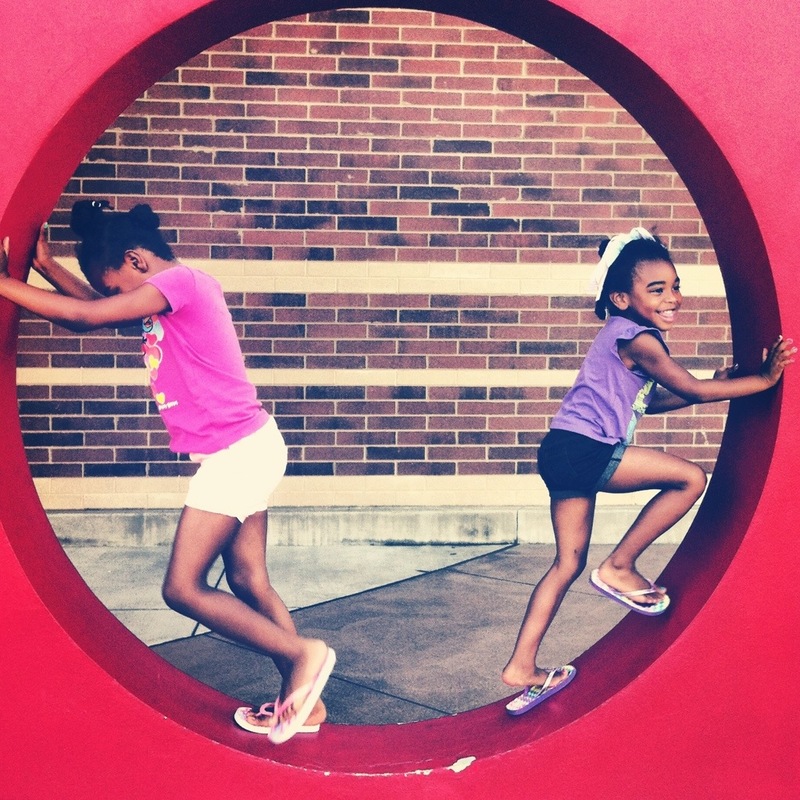 We were at Target this afternoon and my youngest daughters we playing in the big Target circle. I wish I had my camera with me but I at least captured the shot with my phone. I can always leave it to my girls to find a way to have fun no matter where we are.